title in 2018, was named the American Baseball Coaches Association Regional Coach of the Year. The American Baseball Coaches Association recently honored a handful of Georgia baseball coaches. 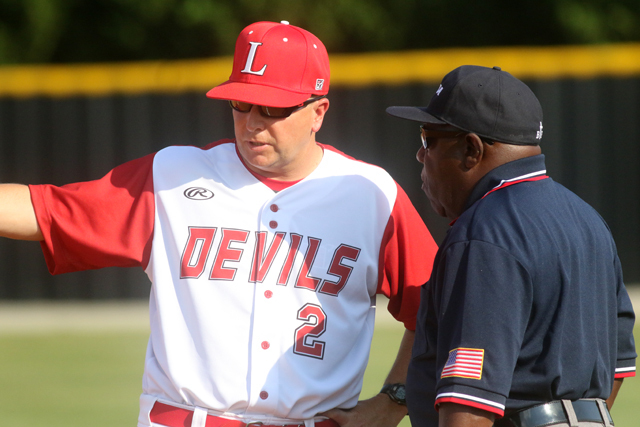 Loganville High School baseball coach Jeff Segars, who guided the Red Devils to their second straight Georgia High School Association Class 5A state championship, was named the ABCA Regional High School Coach of the Year. Segars has guided Loganville to the state championship series for the past three seasons. A trio of college coaches were also honored by the ABCA. Columbus State coach Greg Appleton was named the NCAA Division II Southeast Coach of the Year after guiding the Cougars to a national runner-up finish in the Division II College World Series and a 42-15 record. Bill Popp, who guided Reinhardt University to its best season in school history, was named the NAIA Regional Coach of the Year. The Eagles made the NAIA World Series and finished with a 41-20 record and No. 10 national finish, both tops in school history. Georgia Gwinnett College coach Brad Stromdahl was also named the NAIA Regional Coach of the Year after guiding the Grizzlies to their second straight trip trip to the NAIA World Series.